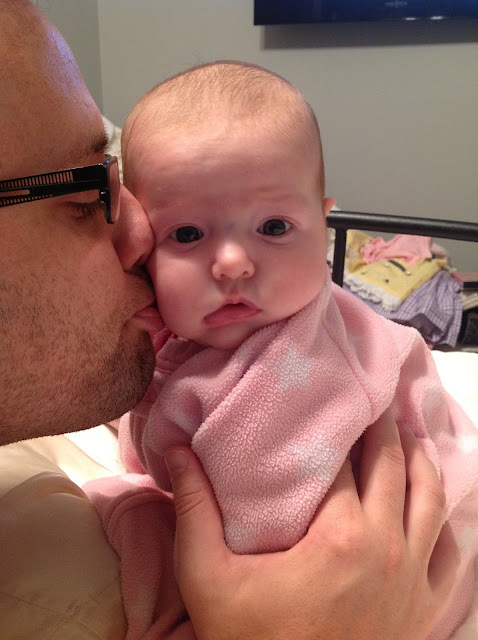 Molly in her PJ's ready for bed:::Daddy giving Molly some sweet kisses for the night!!! Note: This time last year I was anticipating and preparing for the start of our first year of homeschooling! My entire focus was on this new adventure and I had MANY worries about how to set up our classroom space in our house, what curriculum to order, what activities to put on our schedule, how our day would flow and more. While I had so many questions, I was thankful to have an answer to the most important question -- that God wanted Matt and me to educate our children! God made it very clear to us. I knew no matter how many other unknowns or challenges existed, following God was all that mattered, and that there was no better place to be! So, we DOVE into the world of homeschooling! God was and is slowly teaching me to trust Him and follow Him even if it means letting go of my fears, desires, and plans because His way is always better. Our first year of homeschooling was great, and I can honestly say that the girls are LEARNING and DISCOVERING SO MUCH! It is challenging, but so awesome! 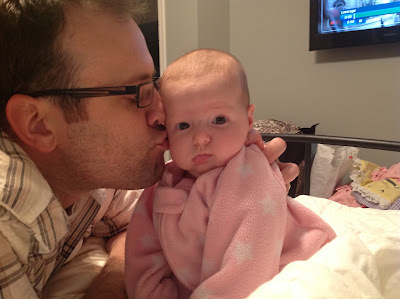 Last July, we had no idea that God had even MORE SURPRISES and NEW adventures for our family...Sweet Molly!!!!!! You see, in my mind, homeschooling made sense with having a 5-year-old and a 3-year-old. Being pregnant, though, I probably NEVER would have planned on my own to start homeschooling with a new baby to arrive during the school year! I can truly say, that again, God's plan--while it might not be ours (at first)--has SO MANY MORE rewards and purpose than the plans we lay out. We are over the moon in love with Molly and feel truly blessed to have a third daughter. While we thought we were "finished" with that chapter of our lives, and had started giving baby stuff away, God simultaneously changed my heart and Matt's heart and put the desire in us to let go of our plan of having two kids--our plan that we figured we could control because it was safe and manageable--and instead, showed us that if we stop trying to control everything and open our hearts to Him and His plan, He has MORE for us! We both, on our own, wanted a third child and we both knew that it was God's plan and wanted to follow Him...and oh boy, am I glad that we did!!! I can't imagine life without our Molly! And while I still like to try and control everything ;), I am slowly learning to chill, and rest in God and trust Him. As I have witnessed, there is just too much to miss out on if we keep our hands closed and our heart closed to what God has to offer us. I hope that you all, whoever you may be, and whenever you read this, will learn to or continue to do the same in your life! Let go, and trust God. We can't receive His blessings and comforts with closed hands!